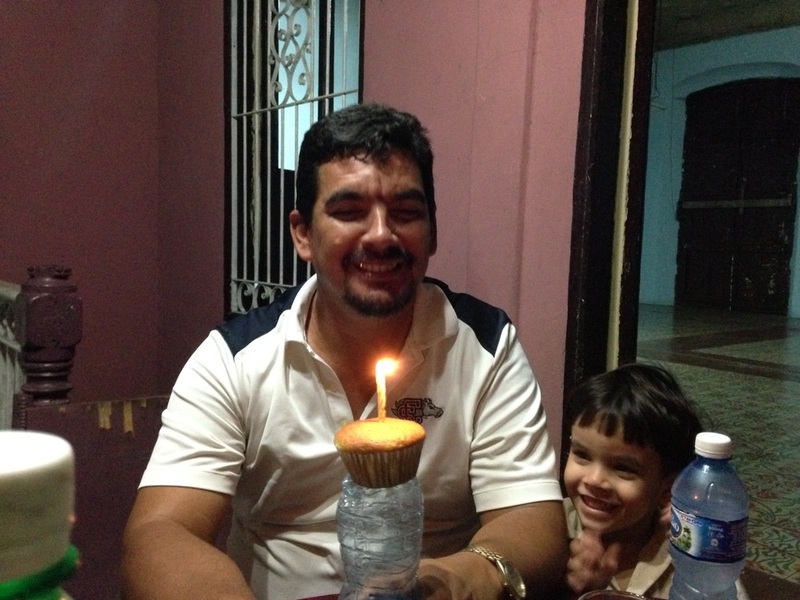 Alexander is a key leader in the fledgling Mennonite church in Cuba. In order to provide for his wife and five children Alexander has joined with a few business partners to start a small business repairing cell phones. This is a new market for Cuba and is growing rapidly. This means that business is good, but it also means that competition is growing rapidly as well. Over the coming months the owners of these cell phone repair shops will learn one of the basic lessons of small business - only those businesses that stand apart from the competition will succeed. Alexander is taking steps to make sure his business is one of the successful ones. And one way he is doing that illustrates the principle that it is sometimes a good idea to work with competition in a way that is mutually beneficial. He shared his story in a class that I was teaching in Cuba back in January. It is difficult to find spare parts for cell phones in Cuba and Alexander's shop doesn't always have the parts necessary to fix a phone. So when a customer comes to his shop with a phone to repair and he doesn't have the necessary parts he calls around to the other shops in the area until he finds one that has the part and then he sends the customer there. 1. Alexander's customer leaves happy that phone has been repaired and therefore is more likely to return to Alexander the next time. Good customer service encourages repeat customers. 2. Alexander's competition is more likely to send customers to Alexander when the competition is unable to fix their phone. This brings more business to Alexander's shop. This is one example of the kind of discussions that occur as I am teaching the small business course. Local, personal examples serve to reinforce the principles that I teach. And local examples are much better than examples from Canada that I could share. Alexander and one of his kids. It was Alexander's birthday!